Beth Yazemboski keeps buzzing all summer long. 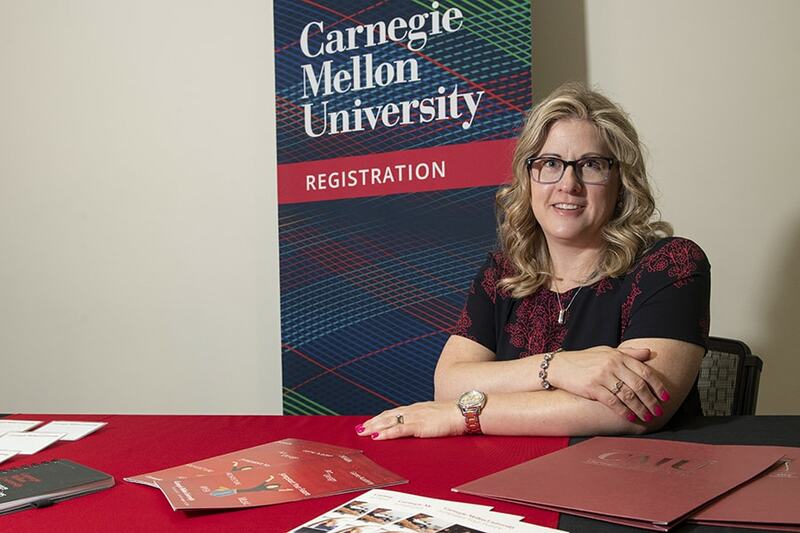 As director of Conference & Events Services (CES) and Pre-College Summer Studies, Yazemboski and her staff serve as a “one-stop logistics shop” for external groups holding conferences on campus and for the six-week residential Pre-College program. The Pre-College program houses more than 500 high school students and includes offerings in architecture, art, design, drama, music, game academy and artificial intelligence, a new program this year. Yazemboski, a 20-year member of the CMU community, works with groups across campus to take care of all the details for both CES and Pre-College — from Housing, Dining, Parking Services and Media Technology to Undergraduate Admission, Student Accounts, the University Registrar’s Office and Computing Services. “We work with many different groups, and building relationships means a great deal to our staff and the success of the work that we deliver,” she said. Some of the conferences and events coming this summer include the Robotics Science & Systems Conference, which will have about 800 attendees, and the North American Summer School in Logic, Language and Information, which will bring between 250 to 300 attendees. Yazemboski’s team also handles logistics for the ID Tech Camp, the Summer Academy for Math and Science, the Pennsylvania Governor’s School for the Sciences and the Intern Housing program. “We have been successful in increasing participation in our Intern Housing program this summer. We’ve grown from four last year to 37 this year. The program permits students from other universities with internships in Pittsburgh to coordinate their housing needs with our office,” Yazemboski said. When she first took the helm of Conference & Event Services 13 years ago, there were about 50 events per year. Today, she said her unit handles about 350 each year. “We are always open to making improvements for others with our services. We are a resource for people, and it is really rewarding to see the results in what we do,” Yazemboski said. One of the things she loves about her job is her team of five full-time staff and six summer event assistants. “I’m very motivated by my staff. I am very fortunate to have a team that I know I can count on for anything at any time. They work extremely long and hard hours, and seeing their passion gives me a sense of pride and a feeling that we are all driving to do something great,” she said. Off campus, Yazemboski is devoted to her family, which is enjoying a newly found hobby. Her 10-year-old daughter, 15-year-old son, and husband enjoy beekeeping. “We’re experimenting with it, and it’s been a fun experience. We have six hives of bees in our backyard. 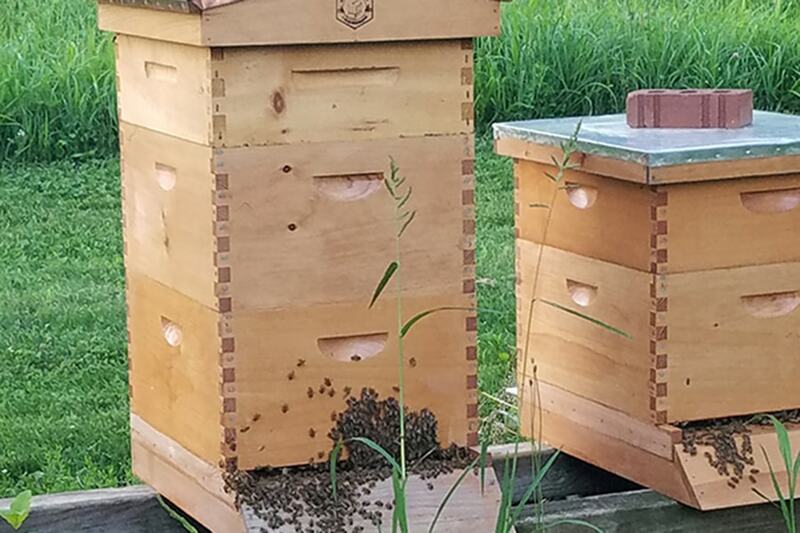 My kids put on their bee suits, pull out the frames, and they’re loaded with honey. We’ve harvested six five-gallon containers of honey thus far. Our family, friends and neighbors have been enjoying,” she said. 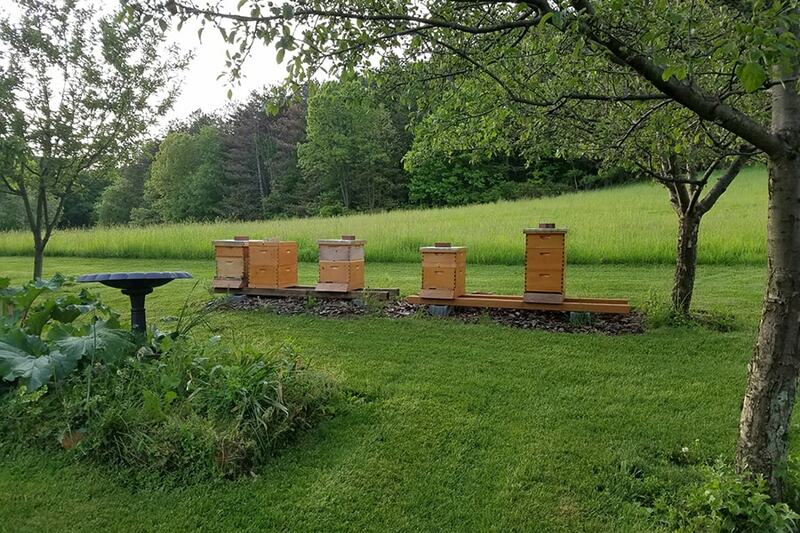 Beth Yazemboski and her family are enjoying their newly found hobby of beekeeping. 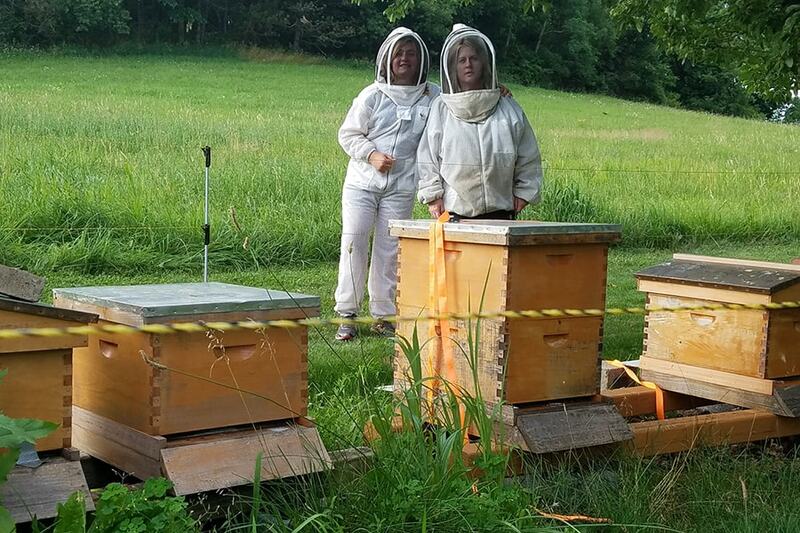 Pictured here are Beth and her daughter, Emily, in their beekeeping suits. The bees sometime gather in front of the hive when the weather is hot.